The Dudjom New Treasure Buddhist Society is a place for the practice of the buddhadharma with the aspiration in particular to assist in the flourishing of the Dudjom Lineage Teachings. 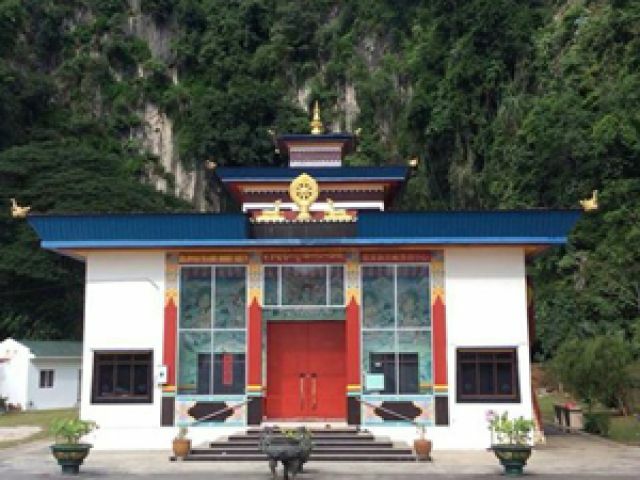 In year 2012, our Guru Lama' s efforts on the new project at the Ipoh Retreat House are directed towards fulfilling his vision of providing a place of learning and retreat for both yogis, yoginis & lay practitioners as well as establishing a spiritual community of monastics and lay practitioners. It is our aspiration that the Retreat House project may bring ceaseless benefit to all practitioners of the buddhadharma and aid in developing a deeper and fuller view of the sublime dharma.